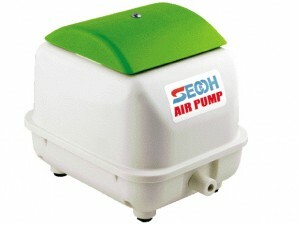 Secoh JDK Air pumps have a well-deserved reputation as top quality pond air pumps. They have established themselves as the number one choice with many experienced keepers of Koi. 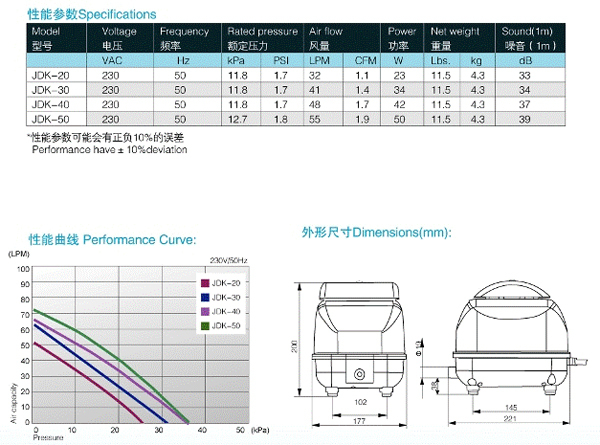 Secoh JDK Air pumps are made in Japan and are of excellent quality, represent real value for money and will give years of trouble free service. Waterproof and very quiet and proven to be the most powerful air pumps available today. Not only are the Secoh JDK Air Pumps extremely powerful and reliable they have the big advantage of having a rainproof cover that makes them easier to install than many other Pond air pumps. 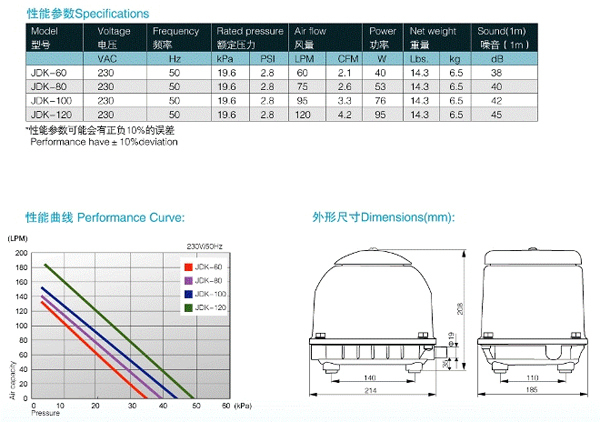 The SLL, EL and JDK series are rainproof and weatherproof. However, they should not be exposed to direct sunlight, rain or snow.